Wed., July 18, 2018, 7:56 a.m.
A GRIP ON SPORTS • You get a home run. You get a home run. And you get a home run. Heck, everyone gets a home run. It’s the All-Star Game brought to you by Oprah. Read on. • It was almost as if MLB’s summer showcase included a voucher for a home run under every seat in the dugout. When the dust had settled – beyond the fence, probably – in D.C., 10 players had hit home runs, the most ever in a game that dates back to the 1930s. You know, when Babe Ruth was called the Sultan of Swat. So what do you call players today? The Sultans of Swatting? The list of players who took one yard last night included big names such as Aaron Judge, Joey Votto and Mike Trout. And it also included Scooter Gennett, who sounds more like a member of the Little Rascals, Wilson Contreras and Christian Yelich. Two Astros players (Alex Bregman and George Springer) hit solo home runs in the 10th – the M’s pitching staff knows what that feels like – to lift the American League to an 8-6 win, but it was a Mariner who had the big hit. If not the MVP award. Yes, Jean Segura was snubbed again. His three-run home run with two out in the eighth should have led to a 5-2 victory, but the American League bullpen, including Edwin Diaz, gave up three runs in the eighth and ninth, necessitating the 10th-inning rally. 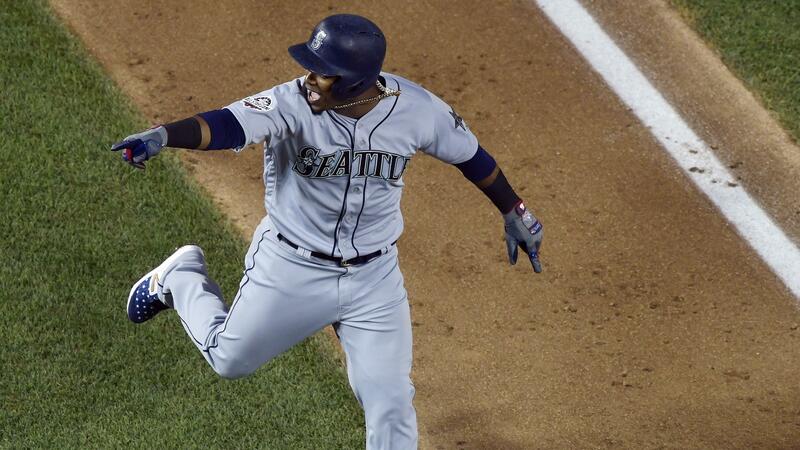 Still, Segura was 2-for-2, scored twice and hit the biggest home run in a night filled with them. Besides, he was the most excited player on the field as he circled the bases as if he was using a trampoline. Oh well, maybe baseball can hold a fan vote this week and give Segura a second chance. WSU: Around the Pac-12 yesterday, it’s time to get back to football, with the South Division defensive players in the spotlight. … Is the conference really among the nation’s best? … Colorado will open its conference basketball season on the road for the fourth consecutive year. Tad Boyle thinks that’s more than enough. Gonzaga: If you began arguing about the best female basketball player in GU history, you would be arguing for no reason. The answer is simple: Courtney Vandersloot. She was exciting to watch at Gonzaga and she is still exciting to watch while starring in the WNBA. … The Zags’ men’s team had four players win academic honors. Jim Meehan lists the players from local colleges who made the NABC Honors Court. EWU and Idaho: The Big Sky will have to find a new commissioner after just two years. The most recent one, Andrea Williams, sat down to talk with Larry Weir for a Press Box podcast before it was announced she was headed to work for the college football playoff. Whitworth: The Pirates new women’s basketball coach, Joial Griffith, was introduced last night. Ryan Collingwood was there and has this story. Preps: The idea of a new downtown football stadium to replace Joe Albi will be discussed tonight by the Spokane school board. But a new aspect of the proposal surfaced this week and is covered in this in-depth Kip Hill story. The City of Spokane is looking for a soccer tenant as well. Indians: Finally. The Indians won a road game last night after 12 losses, defeating Everett 6-3. … Around the Northwest League, Salem-Keizer handled host Eugene 6-2. Mariners: Former M’s pitcher Danny Farquhar is bouncing back from his brain aneurysm. … The franchise added some catching depth during the break. Seahawks: The Hawks don’t open training camp until July 25. It’s there the roster decisions will have to be made. … Is Richard Sherman right? Published: July 18, 2018, 7:56 a.m.